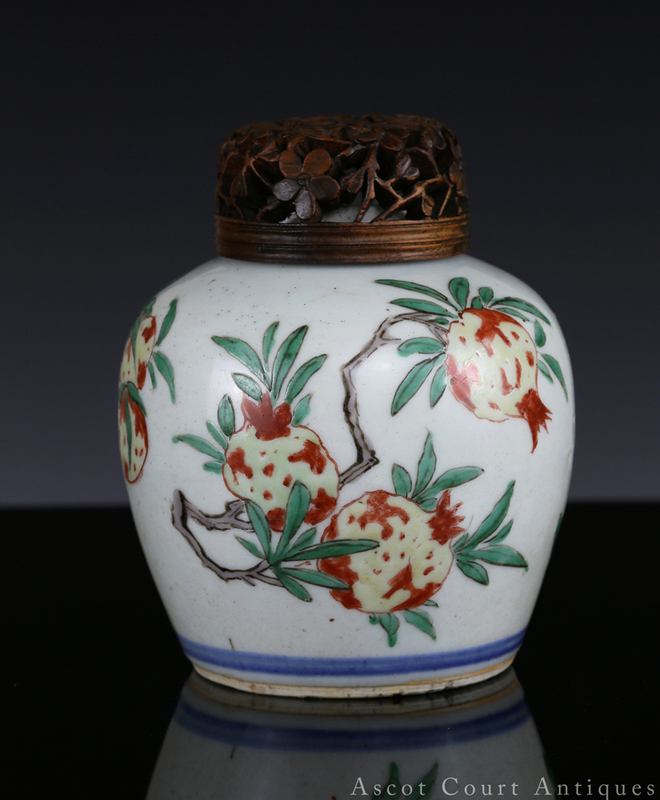 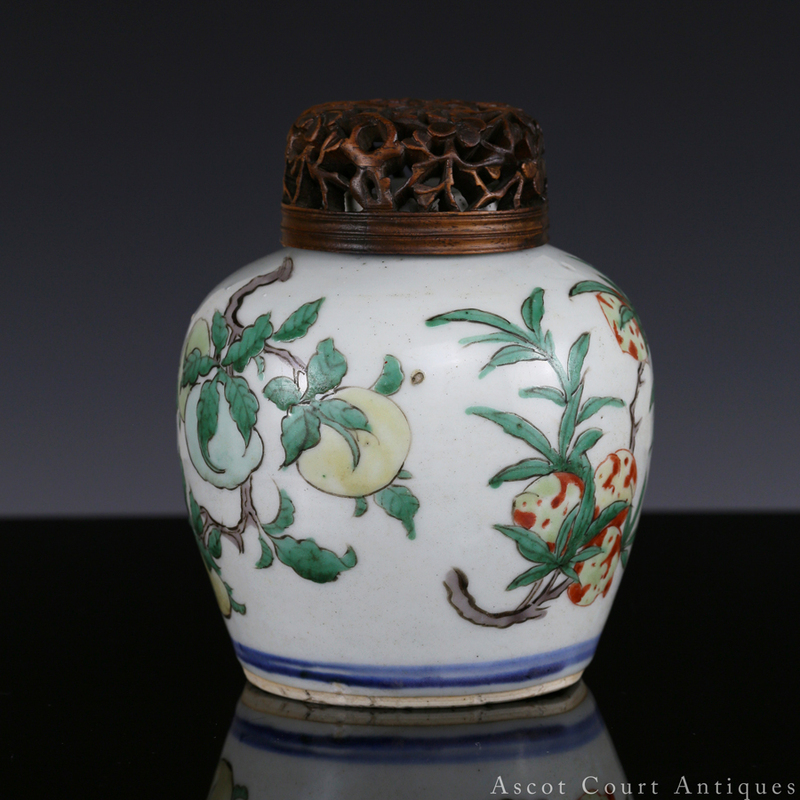 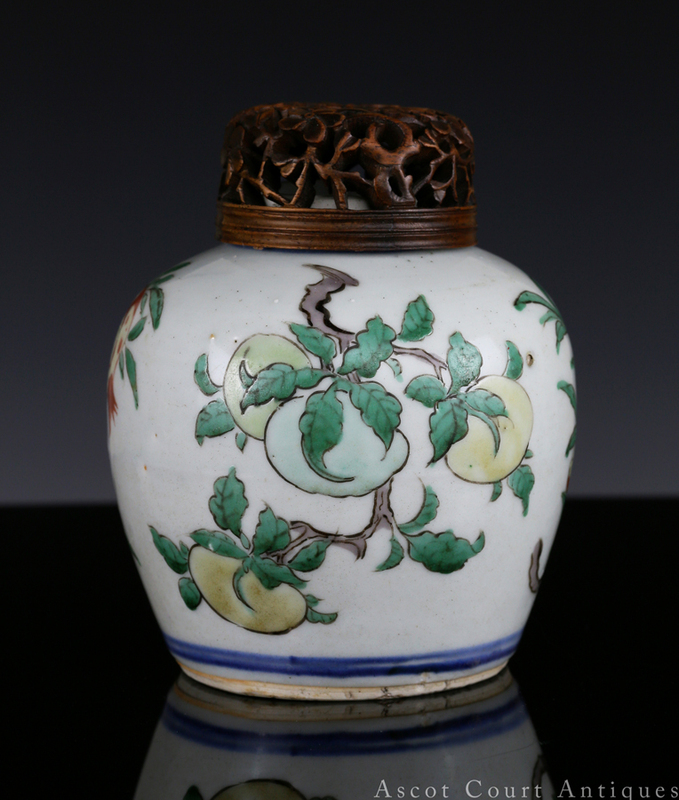 A charming transitional period Shunzhi wucai jar, well decorated in the classic peaches and pomegranates pattern. 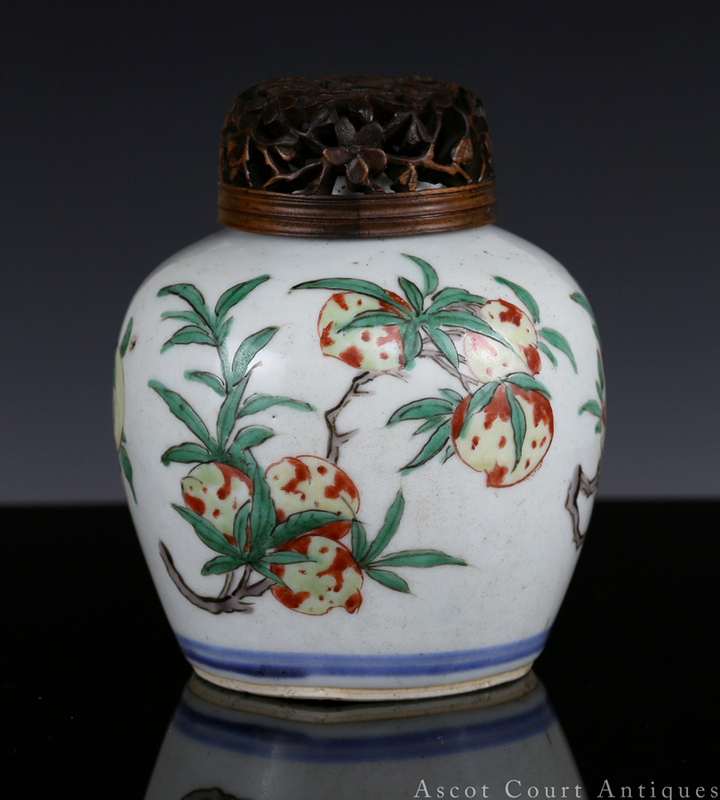 Both fruits are commonly seen on Shunzhi period wucai pieces and represent a general wish for abundance; the peaches symbolize longevity, while the pomegranates represent fertility. 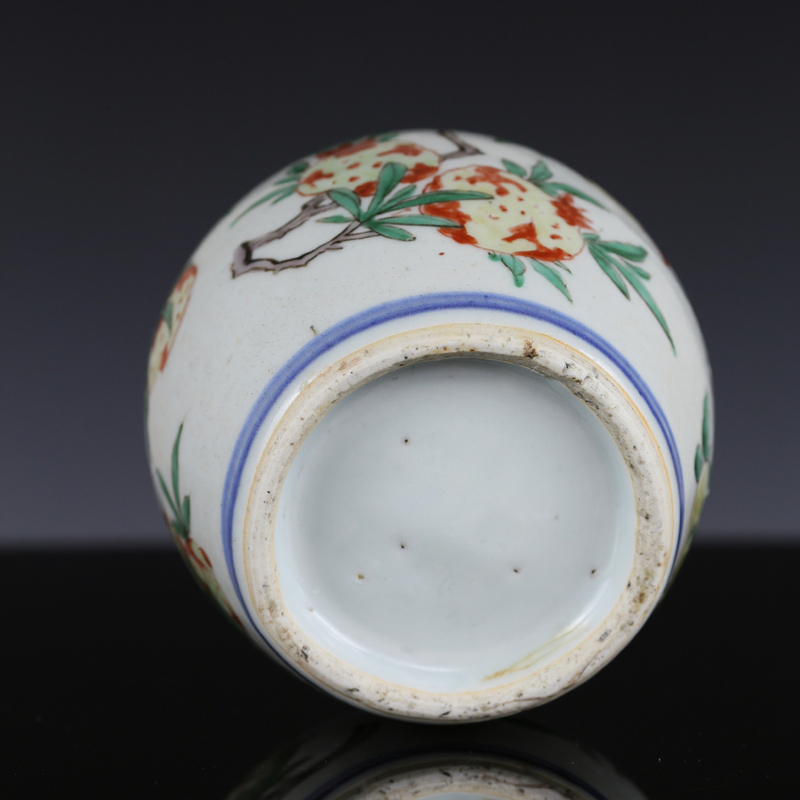 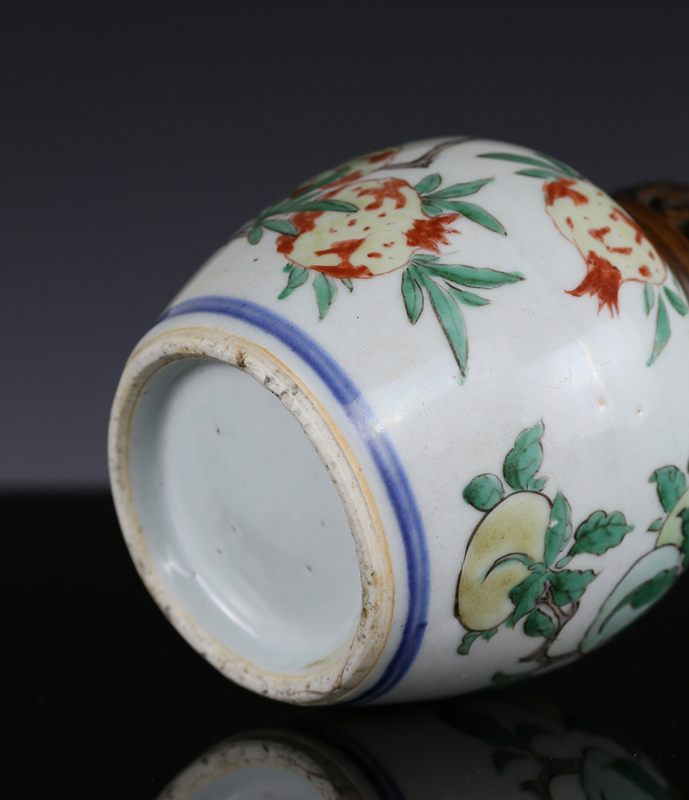 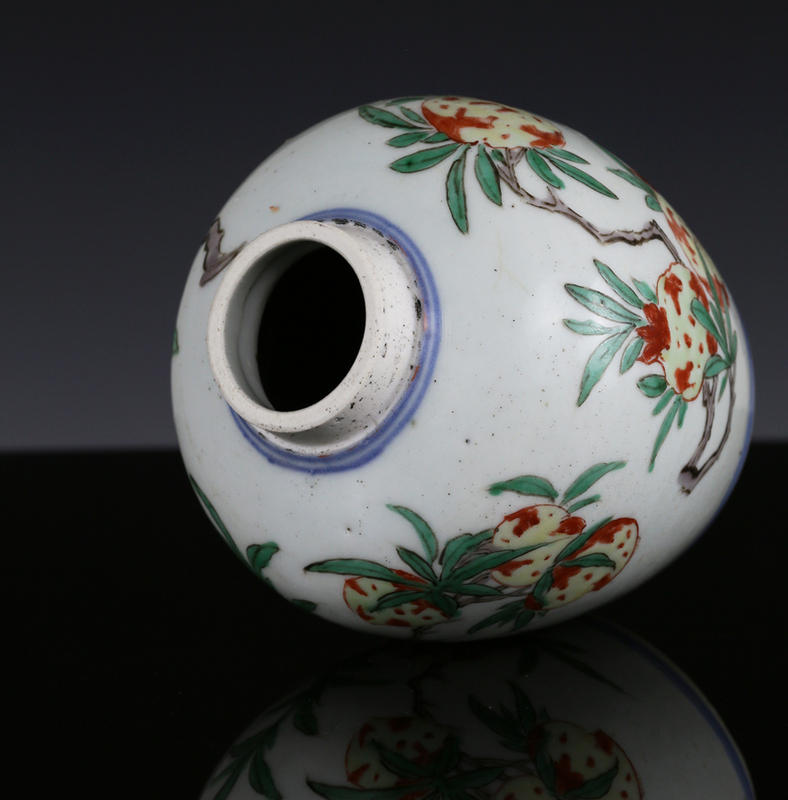 The enamels and porcelain paste are very typical for the 17th century. 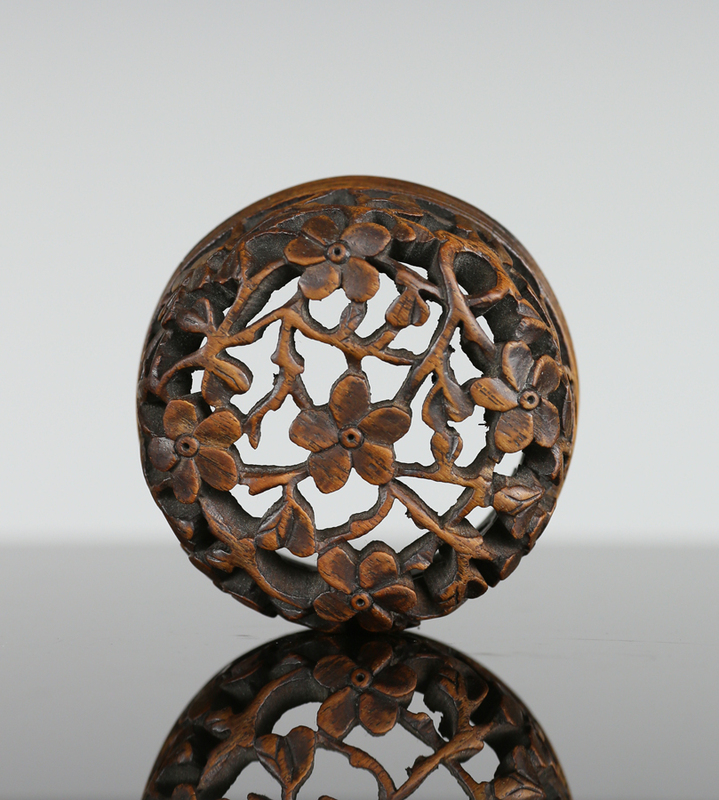 Includes a very well carved open-work hardwood lid.